Community Programs - Aquamoves – Indoor and outdoor pools, fitness facilities and programs in Shepparton, Victoria. Aquamoves offers a selection of specialised programs to assist in improving the health and wellbeing of specific community groups. Huff & Puff is a maintenance exercise program for people who have completed pulmonary rehabilitation. The program involves both aerobic and strength training exercises, with participants undertaking individualised programs. All sessions are supervised by a qualified fitness instructor and participants are encouraged to self-monitor as taught in pulmonary rehabilitation. The Huff & Puff exercise program can assist participants with breathing exercises for reducing shortness of breath. 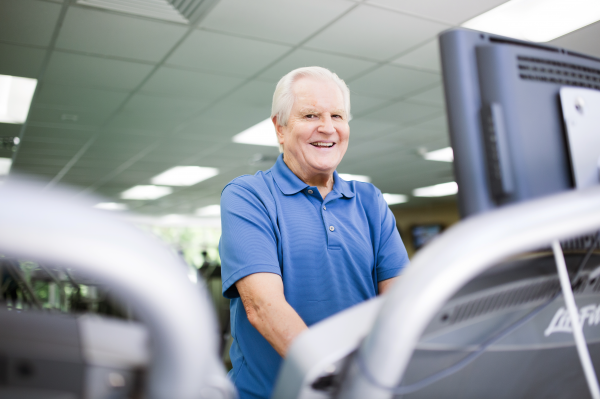 Research has shown that patients who have participated in pulmonary rehabilitation programs have fewer exacerbations (a sudden worsening of your condition), fewer admissions to hospital and an improved quality of life. The Huff & Puff exercise program is a great social and support network for those who are diagnosed and live with a Pulmonary Disease. Cost: $7.50 per participant, per session. How do I get started in this exercise group? If you would like some extra motivation to get moving or some company when exercising, then the PuFF Walking Group is for you. This program facilitates a 45 minute walk around the Victoria Park Lake pathways. There is no cost involved and a qualified Aquamoves fitness instructor will help guide the walks, ensuring it is suitable for all walking levels. Days and times: Monday to Friday from 9.00am to 9.45am. To see if you are eligible to participate phone Aged Services at Greater Shepparton City Council on 5832 9785. Happy Steps is an exercise session to music, designed to encourage those with disabilities to get active and have fun while doing so. The Happy Steps program runs during the Victorian School Terms. Obtain a written referral/medical clearance from your GP prior to commencing the Happy Steps program. Once this has been received participants should contact Aquamoves on 5832 9400 to let the instructor know when they plan to commence attending this exercise program. Happy Steps encourages those with disabilities to get active and have fun.